Behold the beauty found in nature's bountiful, pink blossoms! 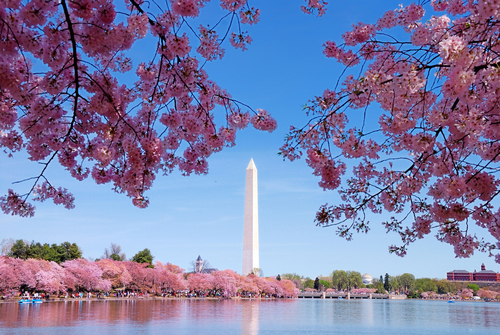 The famous Cherry Blossom tress lining the shores of the Washington Channel, Potomac and Anacostia Rivers, give rise to celebration each spring. 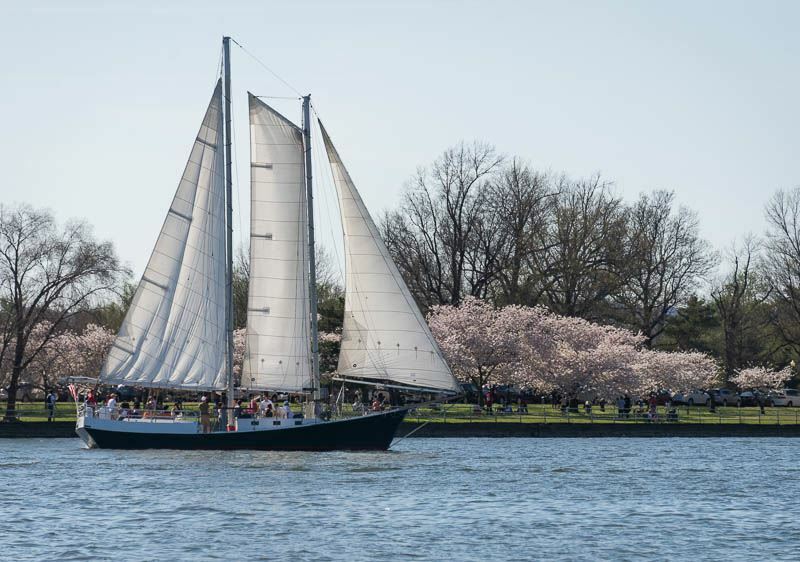 Join us for a three-hour cruise aboard our 65-foot schooner, "American Spirit," for one of our scheduled Cherry Blossom Cruises. These sailing excursions are unique and memorable experience in celebrating all that springtime in Washington, DC has to offer. Purchase your tickets and bring along favorite appetizers, beverages, and luscious dessert -- don't forget the cherries on top! Please scroll down to the red box below and then select the cruise you wish to attend via the link. Please select the sail below inside the red box to purchase your tickets. Food & Beverage: We do not offer food and beverage service on board for purchase. You're encouraged to bring along a picnic and drinks (beer/wine are permitted - no spirits, please.) Keep your menu super simple such as sandwiches/snacks. Little Sailors: Children are most welcome! You'll need to purchase a ticket for them, infants included. Strollers are permitted. Our Crew will stow the strollers below decks during the sail. There is no power available during the sail, so please be prepared with supplies for your children as we do not have the ability to warm food or bottles. Restroom: There is a unisex restroom on board. What to wear/bring: You may wish to bring along a lap blanket and be sure to dress for the weather, as early spring sailing can be chilly after sunset. Wear closed-toe, soft soled shoes. Cancellation: If severe weather (thunderstorms, excessive winds, frigid temperatures, snow, etc.) prevents us from being able to safely leave the docks, we will issue a cancellation and full refund of your purchase. Please be advised that we will not cancel in the event of light rain/mist. Rain gear/poncho is then suggested. Cancellation notices are sent out via email typically two hours prior to the planned departure time. Registration: Full payment must be made at the time of registration. Pending registrations without payment will be auto-cancelled by the system after 15 minutes. Please have your payment information available at the time of registration. Captain and Crew look forward to welcoming you aboard, "American Spirit!"